Image credit: Flickr user MystifyMe Concert Photography; used under a Creative Commons licence. I understand that government should live within its means, value the money it holds in trust from you the taxpayer, avoid waste and, above all else, observe the first maxim of good government: namely do no avoidable harm. Little in this budget is quite what it seems. The $1.5 billion in new mental health money is offset by a $580 million cut in Medicare psychologist consultations. Valuing taxpayers’ money and avoiding waste? That’s good. Cutting spending from psychologist consultations? That’s bad. The problem is, those “cuts” – or, to use another term that’s equally applicable but much less pejorative, “savings” – actually look like a pretty good example of a government avoiding waste and improving value for money. rebalancing the number of annual allied health sessions to better align treatment to the needs of people. The savings have been redirected to new mental health initiatives to better target the Governments investment and to benefit more Australians with mental illness. Let’s dig a little deeper. 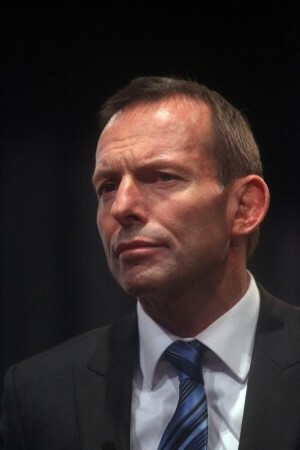 The savings come from two changes to the Better Access to Mental Health Care initiative which was introduced, to his credit, by Minister for Health Tony Abbott in 2006. The initiative allowed people who were referred by their GP to receive Medicare-subsidised mental health services, with funding usually available for up to 12 individual treatment sessions per year. The aim was to increase access to the services of psychologists and other mental health professionals for people who were not receiving treatment through the public health system. The savings listed above propose two reforms to this program. The budget papers detail the proposals here; search down the page for “National Mental Health Reform – Better Access Initiative…”. The reforms come after the independent evaluation of Better Access referred to in the budget papers, which was published in February 2011. The evidence from our evaluation suggests that this will not affect large numbers of consumers; we found that 75% of consumers received 1–6 sessions, 20% received 7–12, and 5% received 13–18. Their evaluation found that the scheme is accessed by people with severity levels ranging from mild to severe, who access treatment for varying periods. But the majority don’t go beyond six sessions, at which point a GP review is required before the person can be referred for additional treatment sessions. In other words, the cut would probably not affect most people. Would it affect those with severe issues, who are likely to be most in need of more treatment? Pirkis and Harris warn that “ongoing evaluation will be needed to ensure that consumers with complex conditions are not disadvantaged,” but it should be noted that the budget expands funding for other schemes targeted at people with more severe mental health issues. The reform seems aimed at tailoring the Better Access scheme to efficiently focus on the mild to moderate range, while other programs may be more appropriate and, hopefully, accessible in the more severe cases. The rationale for this change comes not from our evaluation but from analysis of the Bettering the Evaluation and Care of Health (BEACH) data, which indicated that over 80% of Mental Health Care Plans were being completed in under 40 minutes. In our evaluation, GPs and allied health professionals had mixed views about the value of Mental Health Care Plans … It seems reasonable to provide a time-dependent rebate which is commensurate with the time spent in preparing the Mental Health Care Plan, although it will be necessary to monitor the effect this change has on the likelihood that GPs will prepare Mental Health Care Plans. GPs have allowed their role in Better Access to dwindle to that of glorified referrers. No wonder the government is now backing better value services. These are the “cuts” Abbott lamented in his budget reply. Despite what he implied, the majority of the expenditure reductions are not related to psychologist consultations at all, but to GP services. What’s more, on the current evidence the reduction in sessions for psychological services should not have a practical impact in most cases. The Australian Psychological Society has objected to the first proposal. The Australian Medical Association has objected to the second. Both objections are to be expected – after all, the APS and AMA represent the professionals who work in psychology and medicine, and they will advocate against reforms that would reduce the funding for their respective members. But on the whole there seem to be few negative reactions to the budget’s mental health proposals, particularly from parties who don’t have a vested interest in securing funding. In a budget that didn’t offer much that was innovative, these proposals actually seem to demonstrate a solid, responsible approach to fiscal policy. There are many reasons to criticise the Labor government’s handling of mental health during its first term. But in this case they have proposed reforms that, based on evaluation and evidence, look likely to reduce spending without compromising the practical integrity of the scheme. In other words, they’ve proposed an improvement to the efficiency of government spending in this area. Along with the addition of much-needed funds to other parts of the sector, it’s a solid outcome. Meanwhile, it’s been widely acknowledged that Tony Abbott’s budget reply had very little to say about the budget at all. But in this area he actually did offer an opinion about a budget detail. It just happened to be an opinion that seems at odds with the principles he claimed were central to good government. DISCLOSURE: Since I mentioned the APS, I should note that I was a member of the Australian Psychological Society but allowed my membership to lapse several years ago. I am not a registered psychologist and do not provide psychological services.